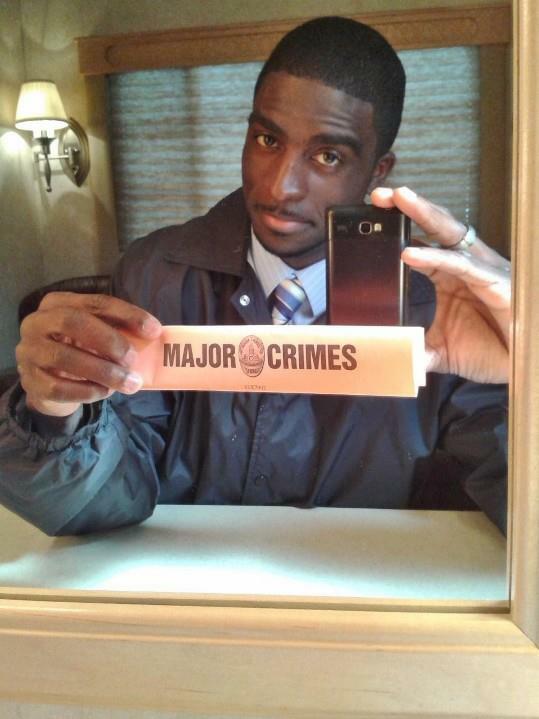 Excitement Builds for Season Two with Set Photos and the Return of Fan Favorites! Photo credit: Ransford Doherty, used with permission. 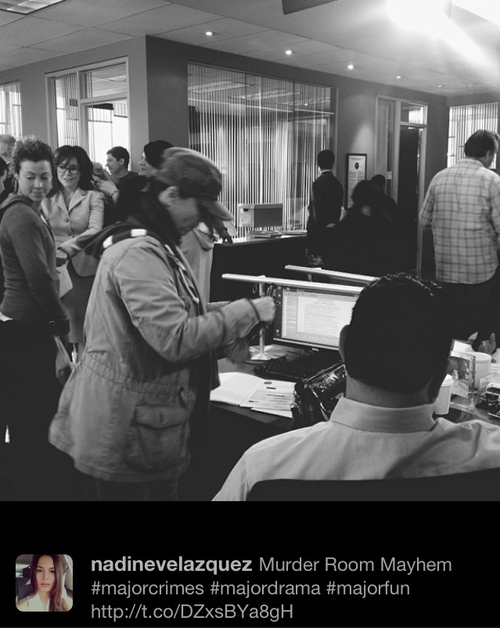 And some wonderful behind-the-scenes photos tweeted by Nadine Vazquez! 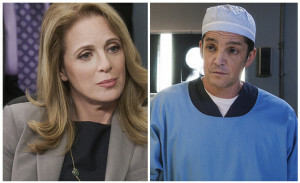 Introduced in season five of The Closer, Kathe Mazur’s character Deputy DA Andrea Hobbs tended to have an adversarial relationship with Brenda Leigh Johnson, who often perceived her presence as hindering with her investigations. 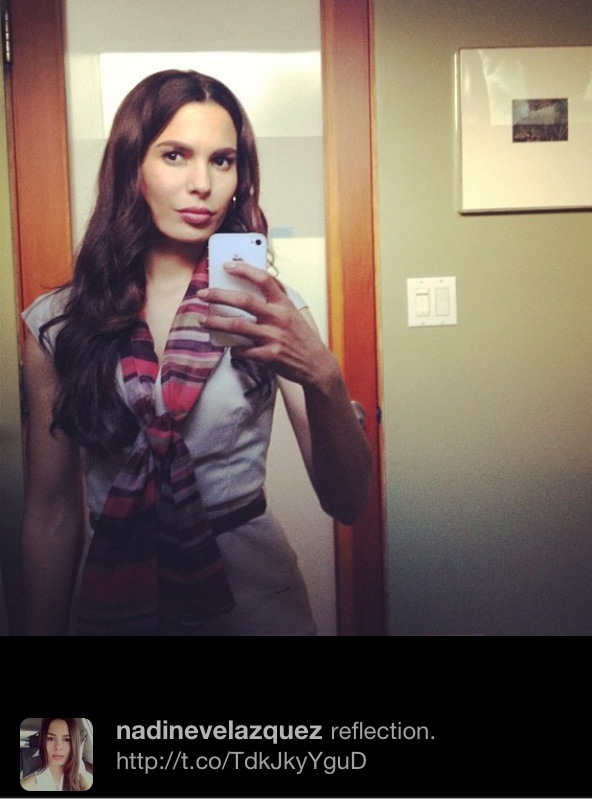 However on Major Crimes, Sharon Raydor has been quick to embrace Hobbs’ presence, and has rapidly learned to utilize her skills and position in the DA’s office to help solve their cases, as well as being an ally when it comes to dealing with the situation with Rusty. 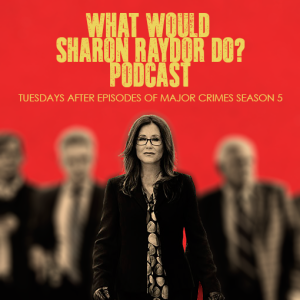 In this exclusive interview with MajorCrimesTV.net, Kathe took time out of her busy hiatus schedule to answer a few questions about the transition from The Closer to Major Crimes, Hobbs’ relationship with the rest of the team, and about her other major role, as an award-winning narrator of audio books.